Composer Segun Akinola's music can be pre-ordered. A terrifying evil is stirring from across Earth’s history. The BBC has confirmed a return for Doctor Who to BBC One for early 2020. The Doctor and her friends discover a cottage and a girl in need of their help. 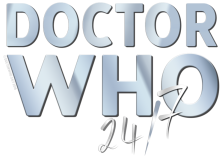 The Doctor and friends become embroiled in a witch trial in the 17th Century. The Fourth Doctor actor writes a Doctor Who novel. A mysterious message arrives in a package addressed to the Doctor. New Year replaces the traditional Christmas Special. India, 1947. The Doctor and her friends are in the Punjab. The BFI are set to screen The Wheel in Space animation. Vastra, Jenny and Strax are back in Victorian London! Something is stirring amidst the eight-legged arachnid population of Sheffield. The new area includes a TARDIS and waxwork. Brand new images for the second episode of Series 11. David Tennant and Catherine Tate reprise their roles. BBC Studios and Escape Hunt announce Doctor Who: The Live Escape Game. The full panel from San Diego Comic-Con 2018 is available! Brand new pictures for the new series of Doctor Who! New Doctor, New Friends, New Adventures. Coming Soon! The First and Twelfth Doctor return for this wonderful Christmas adventure!